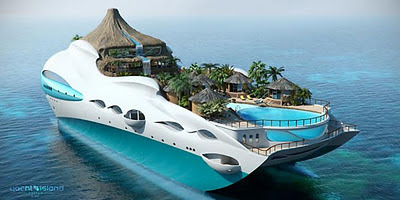 Vacation Barefoot Travel Blog: Buy a mega-yacht that's also an island! Buy a mega-yacht that's also an island! 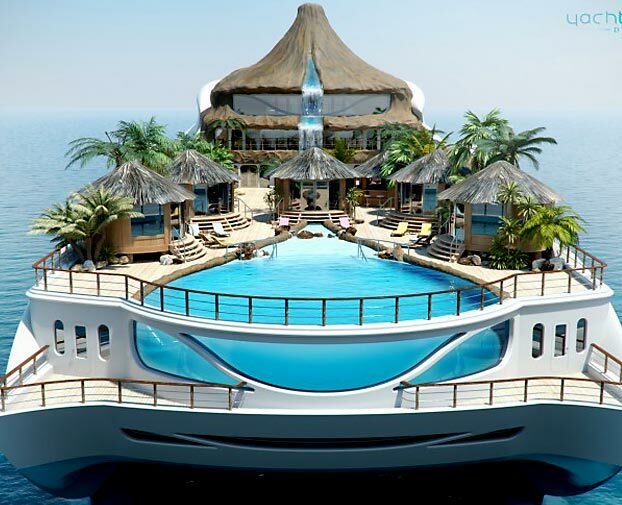 Here's a rich mans toy, a 100 million dollar yacht that dubs as your own private island. Yacht company, Yacht Island Designs, has the plans all laid out for this pimping, floating island. 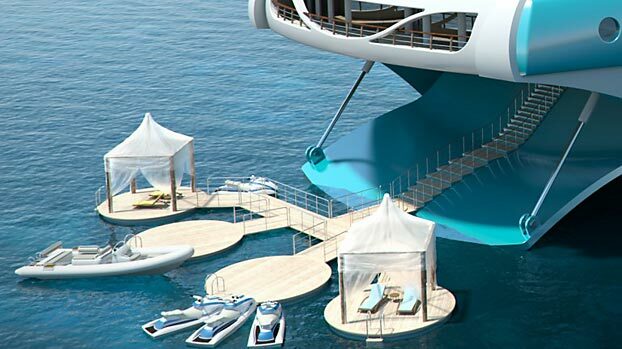 It's just a concept at the moment, but if you dish out the $$$, they'll build you this cool yacht. According to the England-based company, “The brief for this concept was to create an idyllic, floating island, with all the features of a tropical island getaway built into the design.” Note the pool has a glass wall so you can swim up to it and look out at the ocean beyond you. Amenities on-board include: Luxury guest suites, a media room, a library, a game room, gym, and a helicopter landing pad. The master suite is a 2 deck suite built into the side of the volcano so you and your lovey can watch over the pool deck.